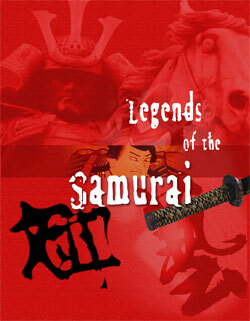 "If you are slain in battle, you should be resolved to have your corpse facing the enemy"
Extensively researched and faithfully rendered, Legends of the Samurai provides all the mechanics for adventuring in the world of medieval Japan. This extensive tome presents players with over twenty new oriental classes, an alternative magic system, a historically based martial arts system, and a flavorful system for fate and destiny. For gamemasters, Legends of the Samurai offers a detailed campaign guide, including NPC statistics, color maps, and historical information on medieval Japan. Now is the time to make your own legend.